Seasonal shopping fever starts with Black Friday and Cyber Monday in a few weeks, but we've already seen terrific sales offered online by retailers getting an early start. Every year more people make their purchases online, with the intention of saving time and money and avoiding the crowds. There are, however, some people who love the shopping season for different reasons. These are people we all want to avoid - Cybercrooks. They study our shopping behavior with one thing in mind - to take advantage of us for their own profit. Here are a few tips to lower your risk of falling victim to cybercrooks. 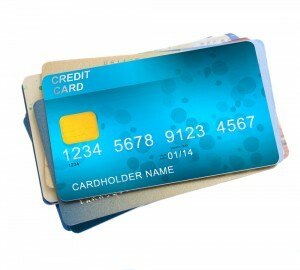 The most important rule is to protect your credit card. While shopping online, the only information you generally need to authenticate a payment are the numbers written on both sides of your card. Along with the PIN code, these are crucial for the security of your banking account. Be very careful who you entrust with them. Some of the points mentioned above require in-depth explanation. Let's take a closer look at them. What is the secured connection? It is an encrypted connection which is very hard to eavesdrop. You can easily check whether your connection is well secured – it has to look like this picture. Please note the green symbol of lock left next to the address. If you click on that symbol it will tell you that "everything is secured" and that the identity of the web page is confirmed. All major shopping sites like Amazon or Ebay use a well-secured connection. Checking your connection is even more important if you are connected to a free WiFi hotspot like those in the fast-food restaurants. Those networks tend to be poorly protected and the encryption might be the only barrier which stands between you and thieves. This is a good reason to have a service like avast! SecureLine VPN. Get a free trial here. If you have a healthy computer, thieves will not be able to intercept your card numbers as you type them into a webform. But what if you are infected by some piece of malware? Without a secured computer you cannot do shop safely online. So how to protect yourself with Avast? If you do not have an antivirus, definitely get one like avast! Free Antivirus. It is highly risky to shop on the internet without protection. Make sure your Avast is running and it is fully updated. Start the Avast program. First thing you will see is a big status message. If there is a problem, it will offer you an automatic solution. If a problem is reported, I recommend performing a quick scan of your computer. This should keep away most of the threats waiting in the wild internet. But if you still have doubts about your computer safety, you can do even more. Do you have one of our premium Avast versions? Start the Avast window, go to the Tools and start our SafeZone. SafeZone is like an isolated virtual computer inside your real machine. Start the browser inside SafeZone and you can safely shop even if your computer is secretly infected by some yet undiscovered threat. This video quickly explains SafeZone. Always be cautious about shopping from a computer you do not know well - say a friend's computer. Is your friend cautious when it comes to computer threats? Is his/her system clean? Does he/she use antivirus protection? If not, it is better to do the shopping when you return home. Even more hazardous is using a public computer (in a library or internet cafe) for shopping. Recently we have discovered a virus which was deliberately installed by its author in public computers to intercept banking accounts. Keep this in mind and avoid shopping and sharing credit card information from such places. There are many threats lying in wait for internet users. Stay protected with avast! Antivirus and please, be cautious about where you conduct online transactions. In this article I focused upon how cybercrooks can intercept your transactions and what to be aware of. There is another important topic I will discuss in the next post - How to choose online shops you can trust. Meanwhile, stay safe and do not let any fraudulent site take advantage of you.